Origami is the art of folding paper into small and intricate designs. Originally, origami art was given to guests as gifts at weddings or other important occasions. Origami is taught at a very young age in Japan, so almost every Japanese person is skilled at creating a range of original designs. Origami uses folding paper only – no glue allowed! 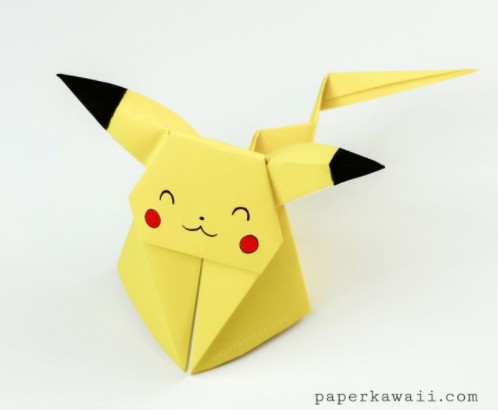 Origami Pikachu on paperkawaii.com. Learn how to make this cute Pokemon. 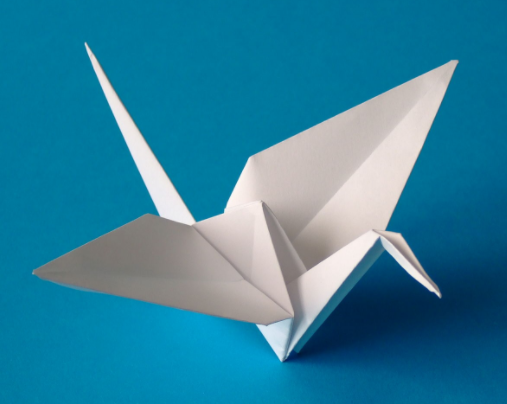 The Crane is the most popular origami design. 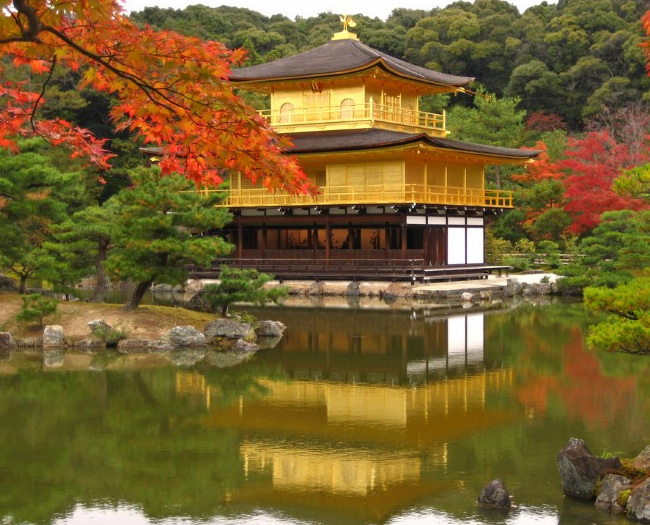 Thought to be able to live for many years, it is symbolic of good fortune. It is said that if an artist can create and string together a thousand cranes in a year, they will be granted a special wish. 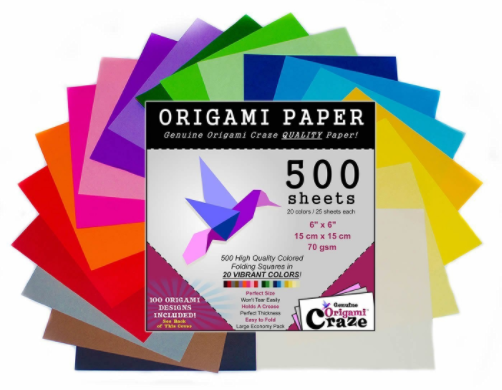 There is a wide range of paper crane designs, from simple folding methods to more complex creations. Origami has been around for hundreds of years (since the Edo period, which started in 1603) and is an extremely developed art form. What started off as a few basic designs and folds has developed into a complex art form. The base of each origami art piece begins with a few simple starting folds. For example, the famous crane can be made from twelve easy-to-follow steps. However, origami pieces like this beautiful swan are far more complicated! 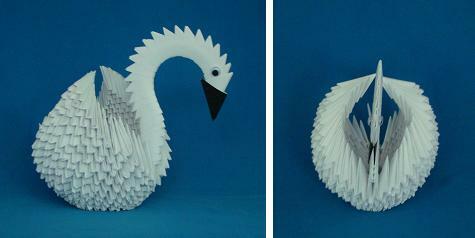 The swan is made up of over 400 sheets of folded paper and has origins in both Japanese and Chinese art forms. I recommend starting with a simple design like the crane, then you can develop your skills to create beautiful pieces like this gorgeous swan. The beauty of origami is that anyone can get involved. All you need is is some square paper like the ones below. Start your purchase for this origami paper and other items at smile.amazon.com and a portion of purchase will be donated to Artsmith! You can get different types and textures of paper in beautiful colors and designs. You can use wire to help hold certain designs, such as the stems of flowers to add more intricacy into your pieces. Start by exploring local craft stores to begin your origami journey today! Origamispirit.com is a great resource providing lots of different origami ideas and information on the origins of different shapes. 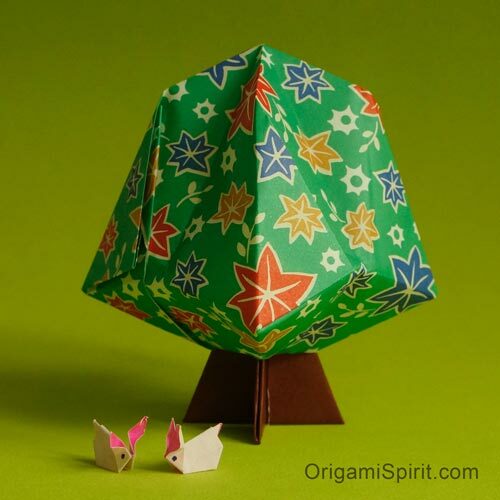 Origiami tree on origamispirit.com. Learn how to create this simple tree. Don’t forget to share photos of your work with Artsmith! Use the form below or tag us @ArtsmithNY on Twitter, Instagram, and Facebook and use the hashtag #ArtsmithJABS. Tell us what you think about the blog series or send us pictures or video of your practice. We’ll check them out and maybe we’ll post them for others to see!